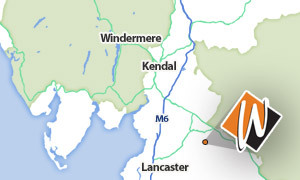 Wheildons supply and fit Ground Source Heat Pumps to the Lake District in the North West and the surrounding area. Ground Source Heat Pumps use pipes which are buried in your garden. Fluid is pumped through these pipes to extract the heat from the ground, this energy is then used to run radiators, underfloor heating as well as general hot water from your tap. Heat from the ground is absorbed into the fluid and then passes through a heat exchanger before being pumped back through the pipes. The ground stays at a fairly constant temperature under the surface, so the system can be used all year round – even in the middle of winter. The benefits of ground source heat pumps are lower fuel bills, lower carbon emissions, very little maintenance and in some case can help provide an income from the government’s Renewable Heat Incentive. 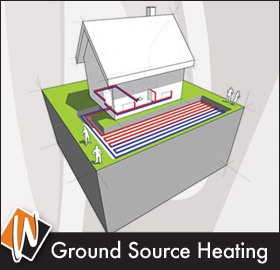 Ground source heat pumps differ in size and complexity depending on your requirements. The Energy Saving Trust (EST) says that a typical ground source heat pump could save you between £180 to £480 a year. EST also says that a heat pump with mid-range efficiency uses a third of the energy needed in an average gas or oil boiler to produce the same amount of heat. 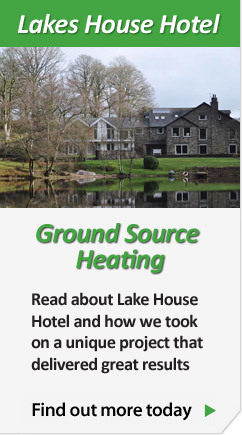 For more details, have a look at our Ground Source Heating page or call us on the phone number below for our expert advice and guidance. Wheildons is a plumbing company that specialises in renewable energy. Based in Bentham, we regularly serve our customers throughout the North West, with many happy customers throughout the Lake District and the neighbouring area. If you are interested in our services, please call us or use our contact form below.